I can’t find Kanji T-Shirt I like. Does the T-Shirt come in white or black only? What does the red square stamp say? Do you have only T-Shirts? 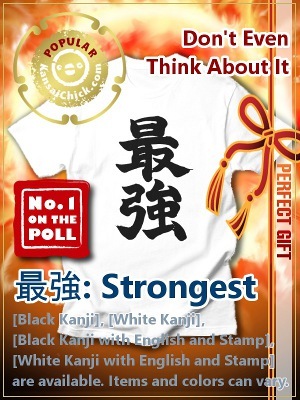 How much is a Kanji T-Shirt? I need to return the T-Shirt I bought. What payment opptions are available? 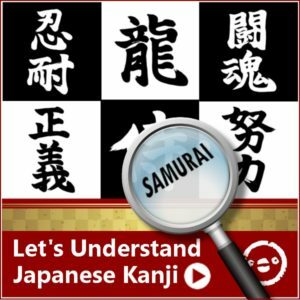 How long will it take to receive the Kanji T-Shirt I order? 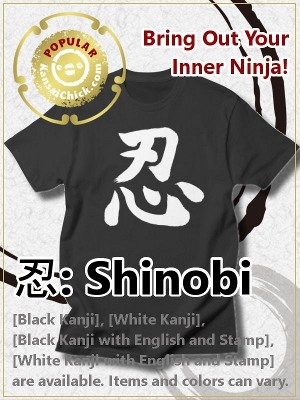 I can’t find a Kanji T-Shirt I like. 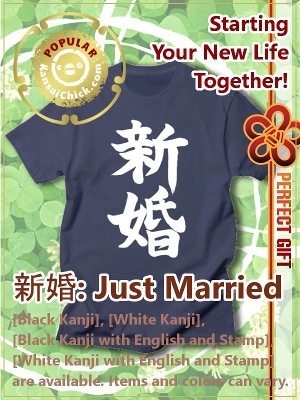 First of all, check the list of all Kanji T-Shirts and meanings to find the one you like. You can jump directly from there to the shopping page of the design you choose. This explanation page about the shopping system could be a help, too. No. The color can vary. The color availability depends on the style. However, the kanji itself comes black or white only. Please find your own favorite color combination! It says KansaiChick(関西雛) in Tensho font. The color of the stamp is fixed because of calligraphy culture. No. There are so many style options from “Men’s T-Shirt” to “Baby’s Bodysuit”. Style availability depends on each design. The regular price of our T-Shirt like “Men’s Regular”, “Men’s Heavyweight”, or “Women’s Fitted” is $25(USD). KansaiChick Sop is one of the Threadless Artist Shops. The answer from the company that manages KansaiChick Shop,Threadless,is below. All products are custom created and carefully printed especially for you. Because of this, your order is not returnable. However, we want to be sure you’re over the moon about your new product. If your order isn’t exactly what you expected, give our Customer Support a shout at Shop.support@threadless.com. We’ll gladly replace any items you are unsatisfied with or that arrive damaged or defective within 60 days from your order. The company that manages KansaiChick Shop,Threadless, accept Visa, Mastercard, Discover, American Express and PayPal. The company that manages KansaiChick Shop,Threadless, is mensioning that they need 3-5 days processing time. 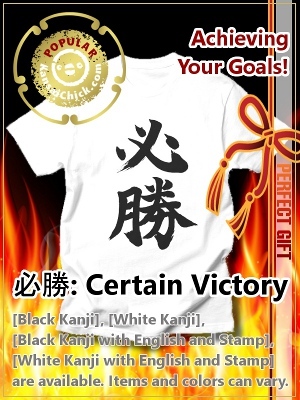 That’s why, depending on shipping option, you’ll receive your Kanji T-Shirt in 4-12 business days. If you don’t find the answer for your question, you can ask us via e-mail(info@kansaichick.com) or check Threadless Artist Shops “Help & Returns” on the very bottom of the shopping pages.